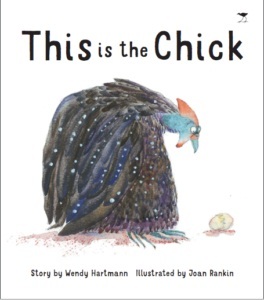 This is a story of a tiny guinea fowl chick that hatches early one morning and lets out a ‘cheep’. The other animals in the bush take fright and chaos ensues. The international rights of this captivating story where sold to Interlink Publishing Group in North America in 2017. Hartmann has been writing for many years, with more than 40 children’s books published. Her books have been selected for honours lists and nominated for awards for writing and illustration. She lives in Cape Town, is married and has two daughters. In her spare time, she paints and has taken part in numerous exhibitions and has works in private collections in South Africa as well as overseas. Rankin has illustrated over 30 books for children. She received the South African HAUM Daan Retief Prize for Children’s Book Illustration in 1986 and the Katrine Harries Award for Children’s Book Illustration in 1991. This is the Chick is published in paperback by the African Literary Agency. ISBN 978-1-4314-2511-2 Recommended Retail Price R120.